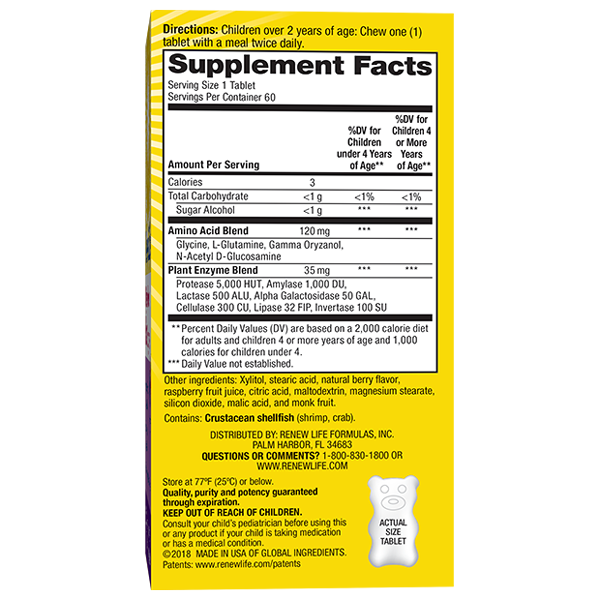 Children over 2 years of age: Chew 1 tablet with a meal twice daily. These must be tasty because my son wants to eat them like they're candy, which is great- enzymes for dessert! We love them! Plant-based formula, Helps digest all types of foods*, Supports healthy digestion*, Helps promote a healthy intestinal lining*, Delicious, Berry Blast chewable bear-shaped tablet, Sugar free, No artificial ingredients.